2 photos of straight lines of rocks ,heading down into the valley towards Carn Llidi. The remains of Celtic ? or later boundary walls . 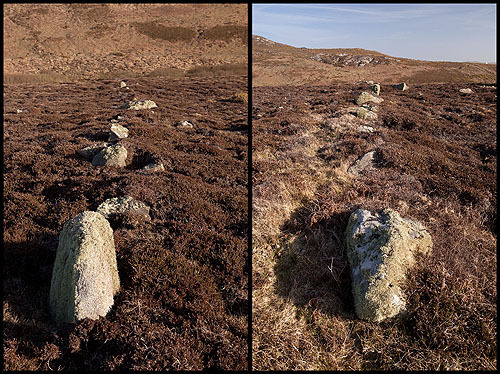 The Iron Age Field System consists of low rubble banks - which run from the coast , down into the valley and up Carn Llidi and Carnedd Perfedd.